It's been a while since I've had a trip report or a pre-trip report on here. 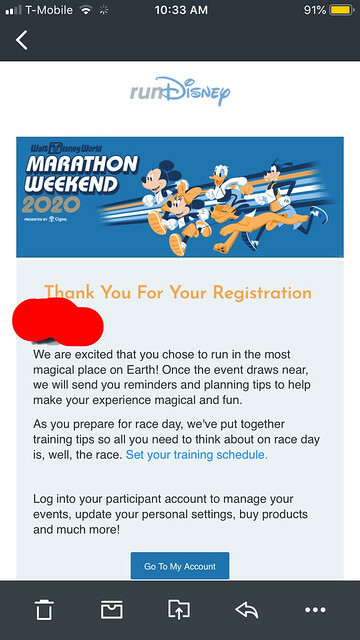 I am still on a Disney break with the family, but I've had some major changes over the last 9.5 months and have decided to treat myself with my first ever RunDisney trip. I've been wanting to start a PTR for a while now, but I didn't want to jinx things. I mean, how awful would it have been to start a PTR just to get shut out of race registration?!?!? Well, I can rest easy with that part right now since registration was yesterday and I got both of the races I wanted!!! WOOHOO! If you read my December 2017 trip report, you might recall that I had a number of pain and mobility issues. Rock bottom (well, the Disney portion of it) was being in Epcot and not being able to keep up with my family because I was in so much pain. I still look back on those tears and remember the fear that I might be in a scooter next time I visit if I can't get this turned around. I went home and vowed to get past all of this, but it would be another 6+ months before I got real with myself. I'm going to spare you all of the details, but I realized it was my weight that was the problem. I've been a yo-yo most of my life, so I had to come to terms with what does and doesn't work for me. 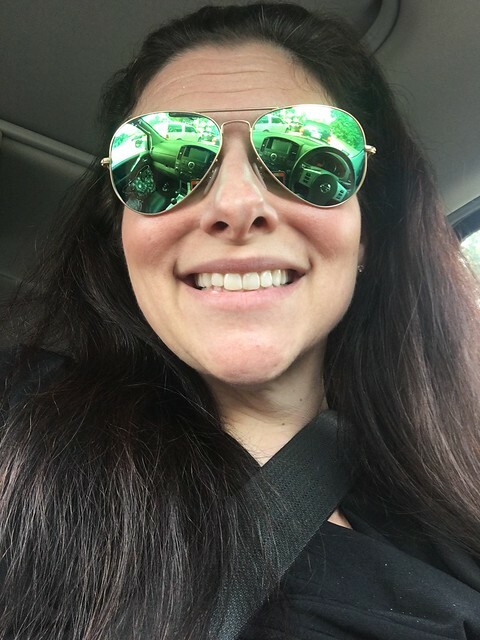 I took a lot of things out of my diet that made me out of control and in the process, I discovered some food intolerances. I've also always loved exercise, so once some of the pain subsided, I got back into regular workouts. So, it's been a little over 9 months and I'm already down 93 pounds! I still have a bit to go before I hit my first two big weight goals, but I'm getting close and I wanted something to celebrate...so I came up with this idea of doing some Disney races. I ran a half marathon in 2015 and while it was a huge accomplishment, I've decided that I really don't enjoy the longer distance things. So, I signed up for the 5k and the 10k in January 2020!!! And I'm not bringing my family!!! A Disney-loving work friend is going to come with me instead. I haven't had a girls trip anywhere since 2013 and I haven't been to WDW with a friend since the 1990s, so this is big! Lodging: I definitely want to be onsite, but that's all I know. The only non-Disney spot I'm thinking about is the Swan. Rates are decent, beds are great, location is a major plus, and we can easily walk to YC or BW for the RunDisney designated buses. BUT...I'd kind of like a Disney resort. I missed certain things when we stayed at the Swan last trip. After that...I'm kind of all over the place. Part of me wants to splurge...part of me wants to be conservative...part of me wants an old favorite...part of me wants to try something new. ALL of me wants a comfy bed. I've always liked the beds at the monorail resorts and the Epcot resorts, but the beds we had at WL and AKL were too firm for me and the beds we had at POR (all of our rooms for our group) were just bad. I've never stayed in a value because for family trips, DH and I can't handle anything smaller than a queen and we haven't been as a family since they completed the renos at Pop with the queens. I'm also pretty claustrophobic, so smaller rooms don't work well for me (yes...I'm a MESS!). 2020 won't open up until late June/early July...so I've got time to weigh out a million pros and cons! Dining: I'm not a big fan of any of the plans and my friend only likes it when going with her family, so no dining plans for us. We also would like some spontaneity, so I'm only going to be booking a few ADRs. We both want to try Skipper Canteen and their standard menu seems to work well for my dietary issues. I'd also like a celebratory meal with a view for one of the nights...Narcoosee's has more standard menu options that would work for me, but I prefer the setting of California Grill. I'm torn over Jiko vs. Sanaa. I love Sanaa and know they have some things that will work for me, but I've always wanted to try Jiko. I figure we also need one character meal. I'm leaning towards a breakfast...but not sure which one I want to do. With the exception of the new one at WL, I've done them all and have some strong opinions. So, I may just let the characters be the deciding factor. Cake: You know I can't have a Disney trip without cake! The problem...I can no longer eat the Disney cakes. I am thinking about ordering one from Erin McKenna's, but they are just not fun. So, I'm thinking about getting a mini one for my friend and hope that she's not weirded out about having cake while I just take pics of it. Costumes: I'm fairly certain that we're going with an Alice in Wonderland theme for the 5k. My friend is leaning towards the Mad Hatter and I'm going to get over my concerns with horizontal stripes and be the Cheshire Cat. Still, we have so much time that we could change our minds. The 10k is just me and I'm more uncertain on this. I've seen some really cool Small World stuff that also looks comfy, but I also saw some fun Tiki Room things. IF I could find anything Donald Duck that I really liked, that would probably win. And while fit and comfort are most important, I'm hoping to find a couple of pairs of decent joggers to coordinate with the respective costumes. It'll probably mean a trip to one of my local running shops for a fitting since I'm not in love with the Hokas and Asics I'm in right now. Oh how I hate it when companies come out with new versions of your favorite shoe or totally discontinue it altogether. Park Time: Planning on 2-day hoppers, but my friend is not into thrill rides. We also both really like Star Wars stuff, but not sure how much of SGE we want to try and experience this time around since the crowds are sure to be insane. i.e. maybe save the bulk of it for later trips with our families. That's really all I've got for now, but I'll be updating this thread as more details fall into place. Heck, I'm still not even sure the best way to link everything together since I've always traveled with family. It's going to be an adventure for me just figuring all of this new stuff out! Congrats on the weight loss and getting signed up for a Run event!! Definitely following along! Congrats on the weight loss! That is a huge accomplishment! I always love your reports, so I am definitely looking forward to this one! Welcome back! Can't wait to hear all about this trip as the details start to gel! Awww, thanks! Definitely going to be something different than my previous reports. Thanks! Yeah, non-WDW TR's get moved to Chit Chat, so it feels like forever since I've had something on here. Thanks! Yeah...even I'm kind of curious on where we're going to end up and how it's all going to come together. I have so much going on with upcoming non Disney trips, kid stuff and work things that it could all help shape my plans. Congratulations on your weight loss. I too was headed the way you were and had just come back from a "this hurts too much WDW trip" and said enough's enough. Lost 234lbs and am a normal weight for the first time in over 25 years. WOW!!! That's amazing! Great for you! I'm sure you feel a million times better too. Pain reduction and improved comfort make it worth all of the changes and effort...especially for WDW! Great job with all your hard work! I'll glad you will be able to enjoy your Run Disney race! Congratulations on the weight loss. You will LOVE the runDisney race. My sister and I did the Princess 5k three years ago and had a blast! Looking forward to reading all about it! Happy for you -- let the pre-trip festivities begin!! Following along. Thank you! It always looked like so much fun and now I get to experience it. We had discussed doing the Princess, but we're planning on a family trip to New Mexico in February now that our district is adding in winter break, so January was the best fit. Thanks! I am so tempted to run out and buy all kinds of things now, but I have to pace myself (no running pun intended LOL ). You’re going to love Marathon weekend. I mostly do the DLP events but in 2018 Marathon weekend aligned with Christmas break so I finally got to do one of the WDW race weekends. There was so much energy there it kept me going despite the very cold temperatures. It's funny you mention the energy...that's the one part of every race I've ever done that I love. There's just this positive energy among all of the participants. I'm kind of hoping it's chilly. I mean, I don't want it to be frigid, but mid 30s to mid 50s sounds good to me for this. I at least grew up in the northeastern US and live in the Houston, TX area...so I'm pretty good for both hot and cold. My friend's cousin ran a DLP race and said it was a blast! I mean, they look really perfect for a Cheshire Cat vibe! They also don't look as chunky as my Hoka Bondis. Still, I resisted the shoes since I'm just not at this stage yet (but keeping them in mind since they would look GREAT), but the darn Cheshire Cat colors seemed to have seeped into my other shopping ventures. I was on a Disney high, but reminded myself that I really need to focus on summer travel. I once again put off booking our lodging for our June trip to Louisiana (softball tournament, but hoping we can make it down to NOLA for a bit) and reminded myself that I need to start looking for gear for our summer trip to Utah and Colorado. We're going whitewater rafting one of the days and the kids have outgrown all of their pairs of Keens. Do you see how the Cheshire Cat mindset influenced my shopping??? Beyond that...trying to keep an early eye on my pace. I'm still focusing more on biking, using my vertical climber, and things like weights and abs these days BUT I'm starting to maintain a daily log of my end of workout walking pace (since I get on the treadmill for a bit at the end)...since I tend to walk more than I run. I have this fear of being swept, so I want to make sure I'm safely below the Disney max pace in all of my training. Today's pace was 12.40 mph. I really need to start thinking about how I'm going to incorporate more walking/running into my training. Back in 2017, we moved to a neighborhood with over 70 miles of forested greenbelt trails, but considering I normally work out at 5am and the trails aren't to be used before dawn (and that I'm deathly afraid of spiders hanging from the trees ), I may be limiting it to after work time and weekends with a possibility of lunch during my work from home days. Minus a few days in the 90s the other week, our highs right now are 70s to low 80s, so it's at least not summer hot yet, so possibly a good time to get the outside pacing ball rolling, so to speak. You do bring up an interesting point though with the temps. I mean, you really never know what you're going to get with the weather and it could impact everything from how I am race day to comfort in what I'm wearing. And now you're making me think again about the half. I really don't want to do the half, but there are things like that view you're describing that make me think I should give it some real consideration. Well, that and it looks like the route for the half goes through MK. I mean, I've done a half before and finished in Disney pacing requirements, so I know I have it in me. My gut just keeps telling me I don't want to train for anything more than the 10k. I also remember how tired I was after that half and how exhausted I was on my training days where I was putting in longer mileage. We were planning on going to the parks the day of the half, and I might pass out midday if I do that and the race. Decisions...decisions!